Only a single point separates these two sides here as Hull welcome Sunderland to the KC Stadium sitting four points above the drop zone. 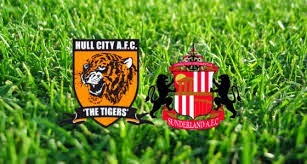 Hull have won three straight home matches but have lost the last four meetings against Sunderland. Sunderland come into this match the second lowest scoring side in the league but one with a capable defense. I am expecting a very tight physical contest here with few scoring opportunities. Sunderland have only managed to win one game in their last 10 but I like their chances of avoiding defeat here against a Hull team that managed only a singe shot on target last weekend.